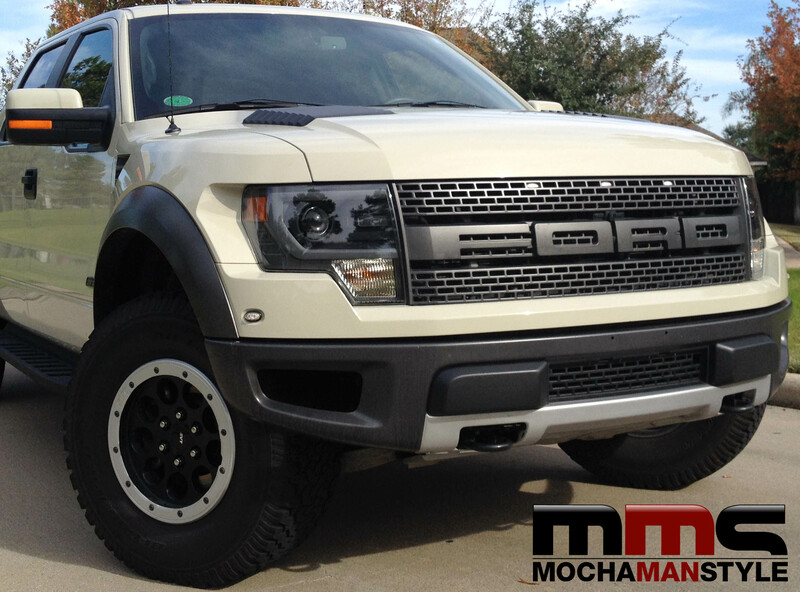 The Ford Raptor SVT is the baddest truck on Earth. Period. End of discussion. It’s the kind of truck that would be standard transportation for the renegades in a dystopian film (I’m pitching my script for “Mad Max: Rise of the Raptor” in case anyone’s interested). But you don’t have to take my word for it. The Raptor speaks for itself and it speaks loudly. Let’s start with the grill. When you see the unique brick wall design with bold FORD lettering your rear view mirror, you have two options – Stare in amazement at the Raptor’s awesomeness or get out of the way. Hint: Option #2 is your best bet. However, I can understand if you stare. This truck has that effect on people. I first saw the Raptor last year at the Houston Livestock Show and Rodeo and I couldn’t take my eyes off of it. Although I drove an F-150 for work, I was never really a truck guy. I liked them for their ruggedness and usefulness, but that’s as far as my admiration went. But after seeing the Ford Raptor, I was smitten. I knew that I had to get behind the wheel of this vehicle. 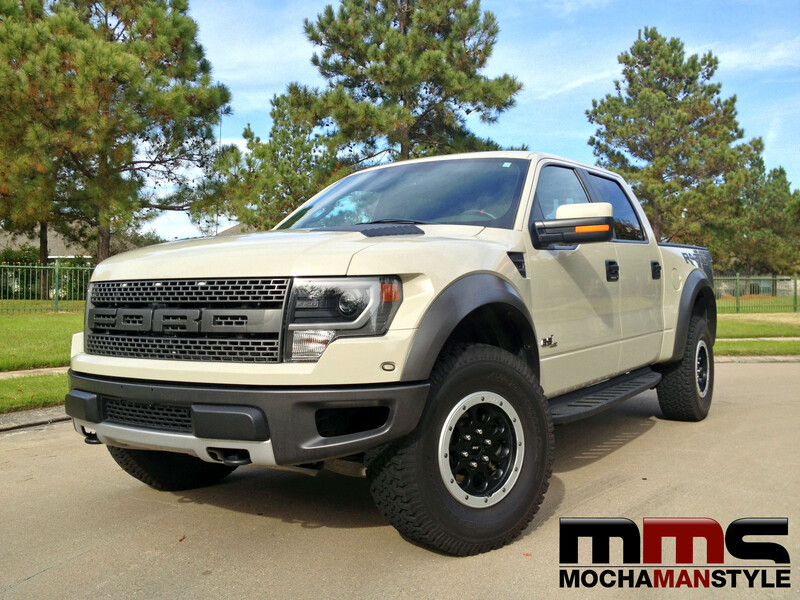 I drove the Raptor around Houston for a few days and I discovered that this truck is more than eye-candy. It’s a powerful beast on four wheels. Rated at 411 hoursepower with 443 lb-ft torque, the Raptor’s big bore 6.2L V8 engine can handle anything from Houston rush-hour traffic to desert sand dunes. When you press the gas, the engine’s roar let’s you know that it means business. While driving the truck to a local burger joint, I drew the attention of two teenagers who were riding their bikes in the parking lot. When the boys noticed my pulling in with the Raptor, they made a beeline towards me. I gave the boys the full walk-around and let them explore the plush interior. They were impressed by the size and comfort of the cab. I went on to tell the boys about the technology inside the truck. I held their interest with the hands-free communications and entertainment options from SYNC, but their eyes started to glaze over when I delved into my in-depth explanation of Eco-Boost. After hearing all he could stand, Cody politely changed the conversation. After advising the young men to drive responsibly and avoid reckless behavior, I tuned the SiriusXM satellite radio to Lithium and continued my journey. I’m used to driving small, fast vehicles that handle like a dream. Now I didn’t expected the Raptor to handle like an Italian sports car, but I was impressed by how well it did handle. If I weren’t perched a few feet above traffic, it would have been easy to forget that I was driving a truck. My only regret is that I didn’t get a chance to get the Raptor dirty and take it off-road. That’s okay. The Ford Raptor made me a real road warrior for a week. Mad Max wishes he had it this good.